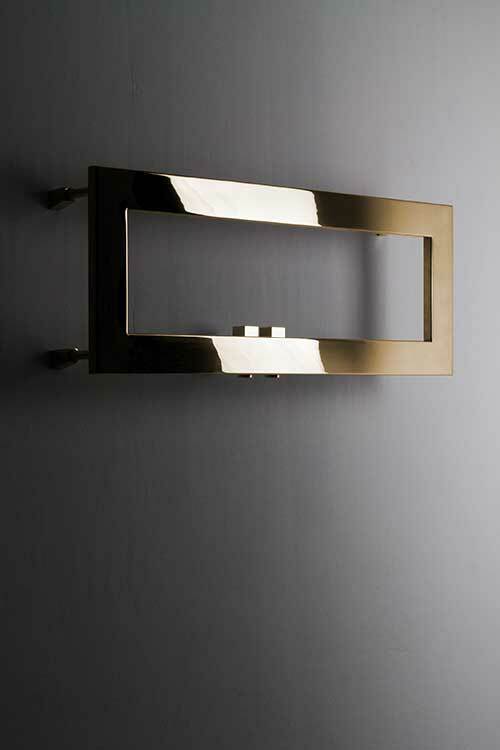 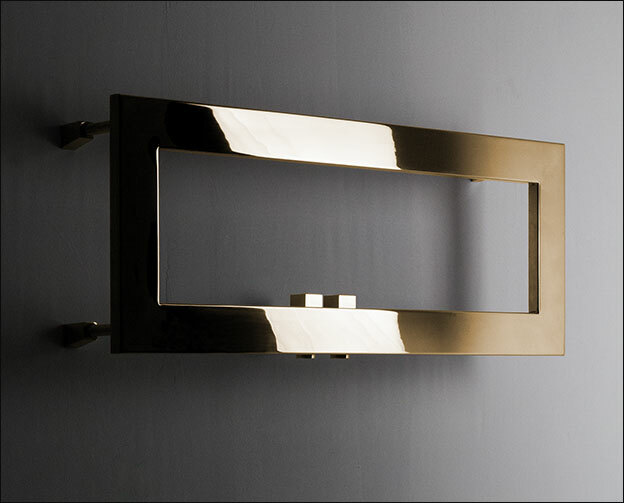 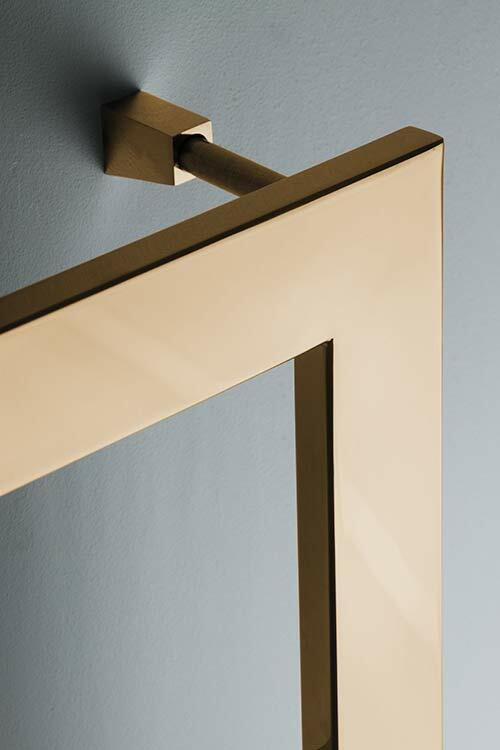 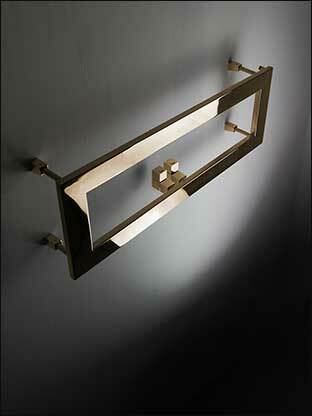 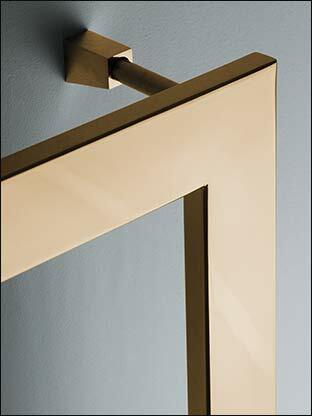 This sleek retangular wall mounted towel warmer is supplied in a choice of polished or brushed gold finish. 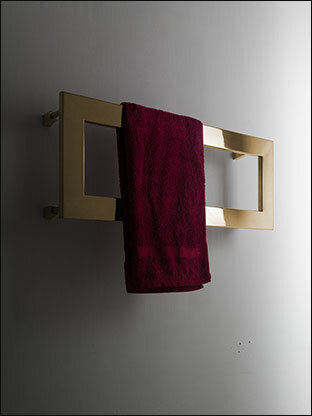 With it's ultra-modern design, this gold heated towel rail is a stylish design feature for contemporary gold bathroom themes. 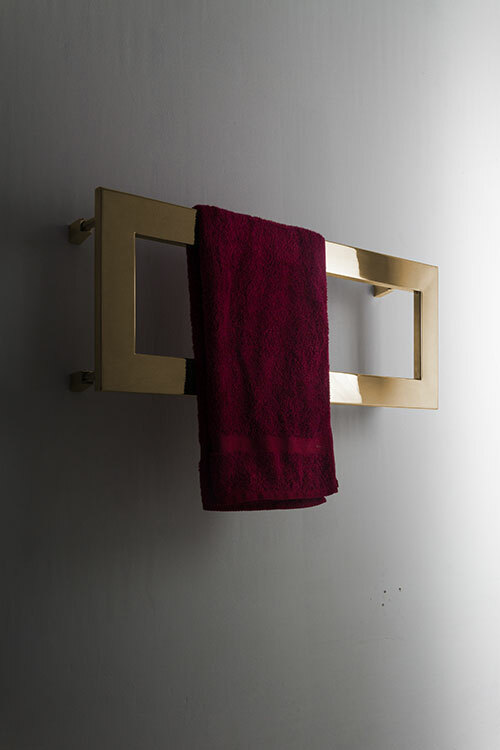 At only 300mm in height, this box shaped gold towel rail is a great space saver, without compromising on towel hanging space. 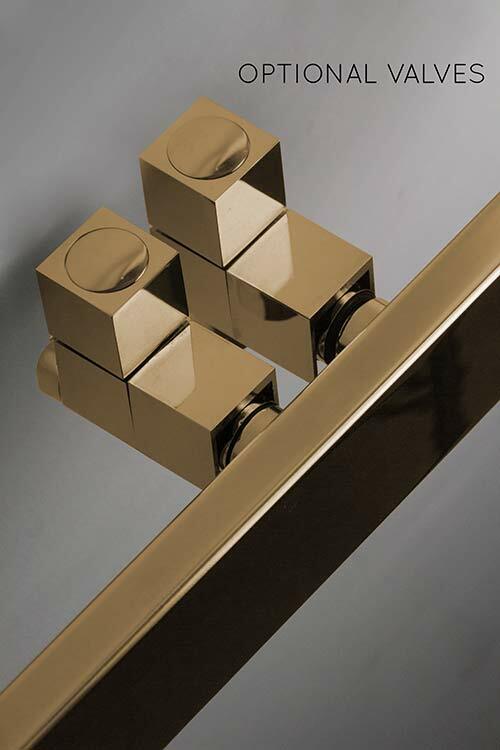 Matching cubic valves and pipe covers are also available. 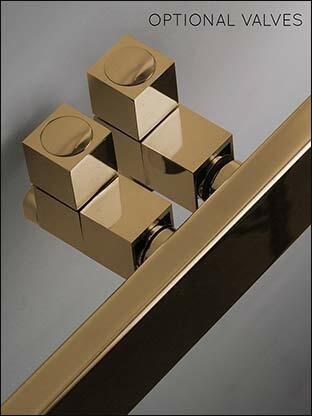 • Optional valves supplied straight. 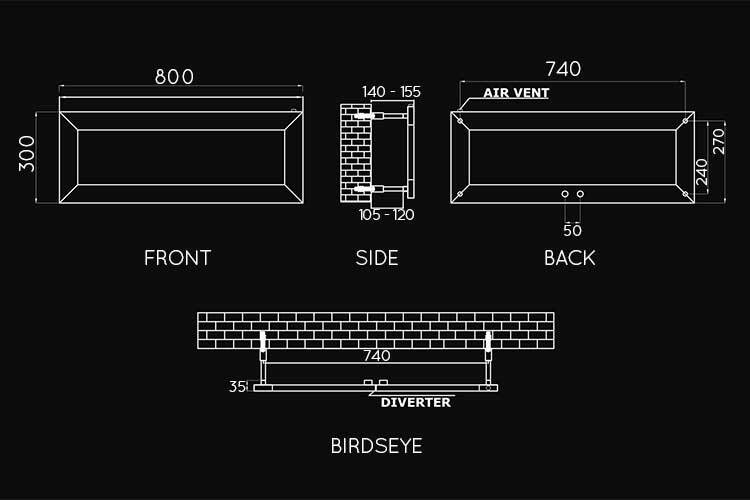 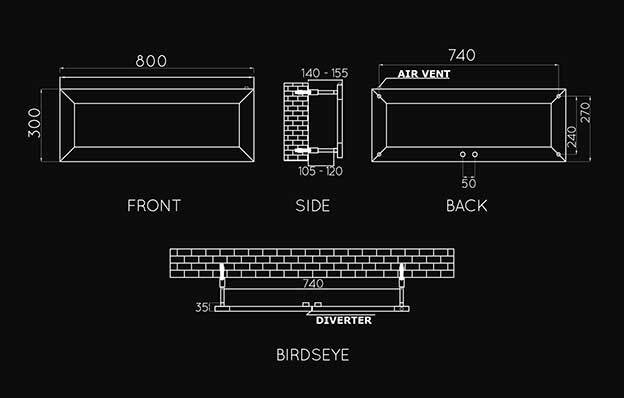 • Optional 130mm pipe sleeves.